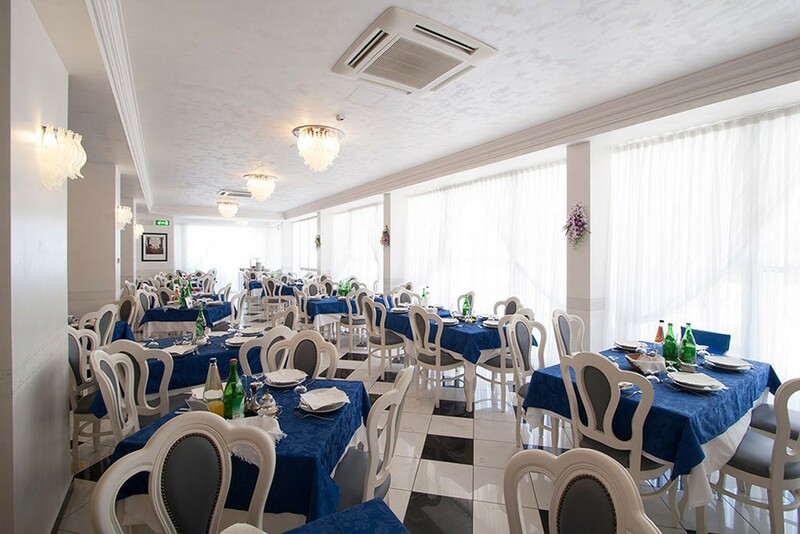 An excellent cuisine, always fresh ingredients and a large choice of dishes for different preferences. Special attention and personalised menus for children. Every morning you will find a rich and delicious breakfast buffet with sweet and savoury food for all tastes! For a good start into the day, a rich buffet is ready for you every morning! Not only sweet items like brioches, yogurt, cereals, juices and marmelades but also salty ones like ham and sausage products, eggs, cheese and bread will make it easy to pamper yourself in the morning. Of course there are hot drinks and fresh juices. Everything is served in our modern and bright restaurant room. Evere day, for lunch and for dinner our guests can choose freely between four different menus, with four starters and four main dishes; one of the proposals is always fish-based. Steamed or grilled, in the sauces of the starters or as a main dish, fish is important in the cuisine of Romagna, and it will not lack in ours. 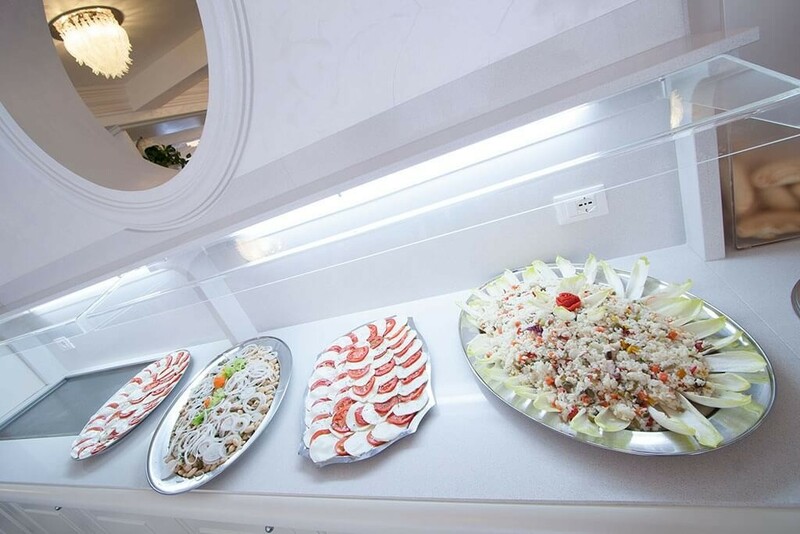 You can further enrich your meals serving yourself freely at the buffet with crude and cooked vegetables and delicious appetizers. One of our many services dedicated to families is anticipated access to the restaurant room. Small children and babies may have a different meal schedules than adults and we will do our best to help parents. 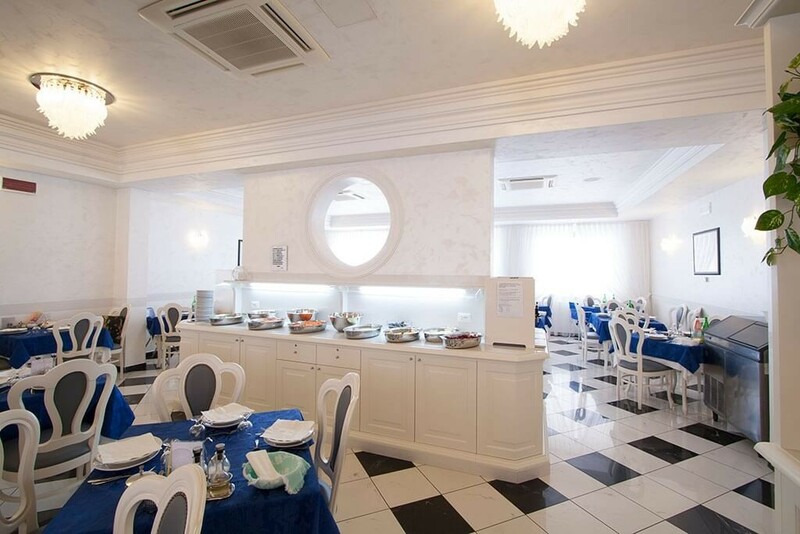 Families can enter the restaurant 30 minutes earlier, so there is less distraction, the children can concentrate on their meals and the parents assist them. High chairs are available, and personalised meals with simple good dishes for small children, too. We offer simple fish dishes that are typical of the Adriatic coast and many more recipes drawn from the local tradition.